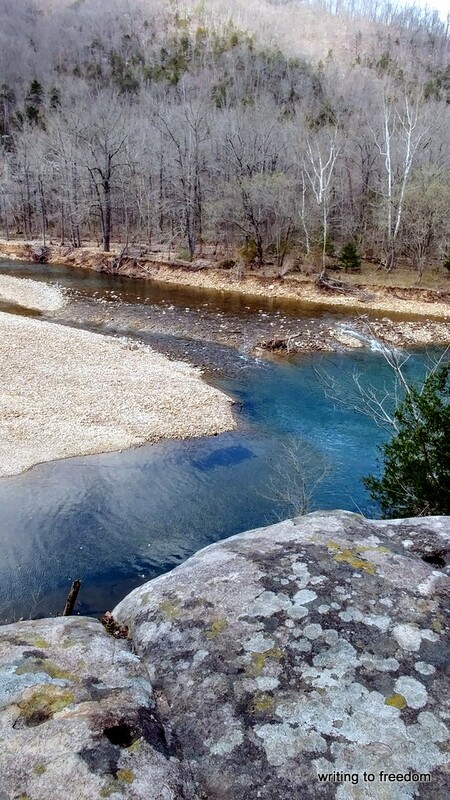 This is another section of the Buffalo River where I went hiking recently and posted the poem about Steel Creek. We are very fortunate to have such a clean river running through much of our state. The Buffalo River was designated as the nation’s first National River in 1972. As one of the few undammed rivers in the lower 48 states, it flows freely through Arkansas for about 153 miles with countless opportunities for swimming, hiking, kayaking, camping, and more. Reading and seeing this was a beautiful and peaceful way to start the day. Thank you Brad! It’s no wonder you like Steel Creek so much, Brad. All that crisp blue serenity… Hugs. Nice picture, nice article about the river as well. Thanks Mark. It’s a wonderful area. nice to be back all be it in dribs and drabs as I will never catch up with everyone.. And I am not going to stress trying..
Have a great rest of the week Brad.. 🙂 and thank You. Bravo, Buffalo River! Clear, clean waters — such a blessing. Very beautiful, Brad. It looks quite cold to me though. Agreed. We’re very lucky in this country with the amazing diversity of geologies. It is beautiful country….I had an aunt and uncle in the Hot Springs area when I was growing up…visited Arkansas many times…loved it!! Fun Kirt. You seem to have lived and traveled to much of the country! Arkansas has grown on me, and I still miss CO and OR! BEAUTIFUL photo and poem, Brad. I can almost hear the water running. I bet it tastes good, too. Thanks JoAnna. It probably tastes good, but I haven’t braved drinking it. Although a national river, there is some controversial animal farming in surrounding areas. Oh, yeah. If they are large factory farms, it could be risky. I tasted water from a mountain stream in NC without any problem but later found out that a nearby university professors advised against it. Best to be safe. Yes, I’ve become more cautious. When I was younger, I drank from many streams while traveling and was never sick.